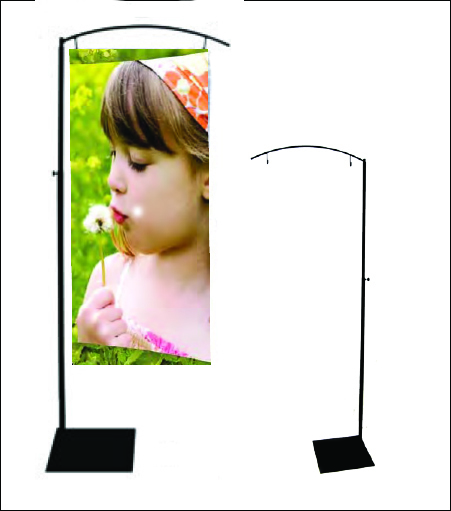 Telescoping pole goes from 48" to 90"
Grommets at 1" and 19"
This stylish banner stand assembles in minutes without tools. Telescoping pole goes from 48"w x 90"h. The 14" square heavy metal base includes a spring button lock for solid structural support. Holds one banner 20"w. The banner requires grommets at 1" and 19" on the top of the banner.